LARGE CORNER PLOT !! HOME ESTATE AGENTS are privileged to bring to the market this spacious Three bedroom semi detached with large corner garden offering massive potential to extend or build a second property subject to planing. In brief the property comprises of, entrance hallway, lounge, dining room and kitchen, to the first floor there are three spacious bedrooms with bathroom and separate W/C. The property has gas central heating and benefits from recently installed double glazing throughout. To the front of the property is a mainly lawned garden which continues to a large corner plot to the side and rear with off road parking. Located close to popular local schools and amenities with great transport links including the Metro-link and just a short commute in to Manchester city centre, Media city and the Trafford centre. To arrange a viewing call HOME on 0161 871 3939. Composite front door leading in, laminate floor and single panel radiator. UPVC double glazed window to the front elevation, feature fireplace, wood floor boards, ceiling coving, picture rail and single panel radiator. UPVC double glazed window to the rear elevation, laminate floor, ceiling coving and single panel radiator. UPVC double glazed windows and door to the side elevation, selection of wall and base units fitted with roll edge work surfaces incorporating a stainless steel sink with mixer tap, breakfast bar and laminate floor. UPVC double glazed window to the side elevation. UPVC double glazed window to the rear elevation, laminate floor and single panel radiator. UPVC double glazed bay window to the front elevation, laminate floor and single panel radiator. UPVC double glazed window to the side elevation, bath fitted with glass shower screen, sink with pedestal, tiled to compliment and single panel radiator. UPVC double glazed window to the side elevation, low level W/C and tiled to compliment. 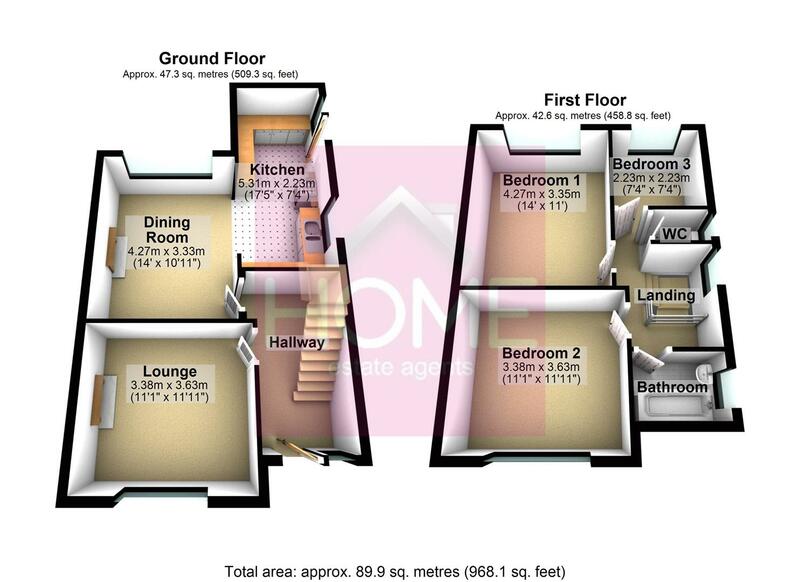 Externally this property simply must be viewed to fully appreciate the size of the corner plot ! offering mainly lawned gardens with mature hedges and a patio area.